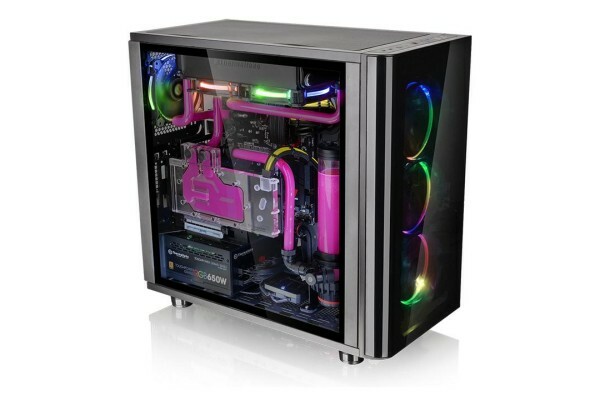 The View 31 tempered glass RGB features two 4mm thick tempered glass units, Riser GPU mount, three pre-installed, patented 140mm Riing RGB LED fans for the perfect RGB setup and outstanding cooling performance. The View 31 TG RGB supports the latest gaming PC hardware and guarantees ideal expandability for high end configurations and is perfect for water cooling applications. This case offers all the functions that users have always wanted and leaves no more dreams open!